PAUL BILODEAU/Staff photo. 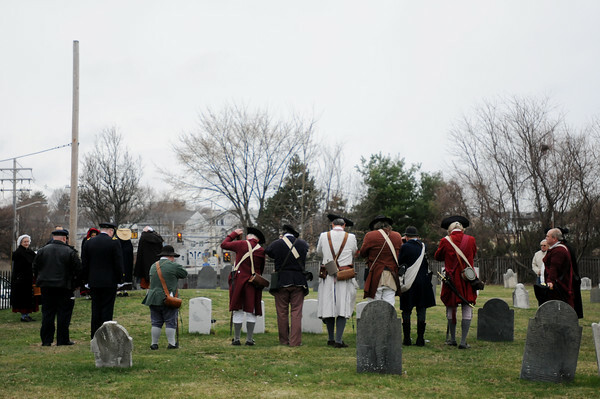 Members of the Danvers' Alarm List Company have a moment of silence at Old South Burial Ground in Peabody. The South Burial Ground contains the graves of four Danvers men who died on April 19: Ebenezer Goldthwaite, George Southwick, Samuel Cook, and Benjamin Daland.